It’s That Time Again, Time to Think Green! It’s November; Veterans Day is coming; It’s National Novel Writing Month (NaNoWriMo); and it’s time for the Green Books Campaign. I’ve tried to keep track of the “green” books I’ve been reading and disclosing that to all of you. Hopefully, that helps you add to the list of books I know you all keep. 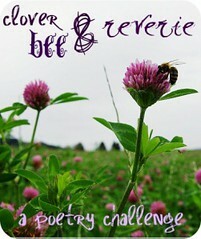 This year, I’ll be participating again with a poetry book, Crazy Love by Pamela Uschuk. On Nov. 10, at 1 PM, I’ll be posting about the book, its “green” qualities, the author, and my thoughts on Uschuk’s poems, along with 199 other bloggers who will be discussing 199 other books. The Eco-Libris Green Books Campaign also made a new announcement about the participation of large Canadian book retailer Indigo Books & Music. There is a list of great supporters to the campaign on the collaborators page, including BookMooch, Strand, and many others. 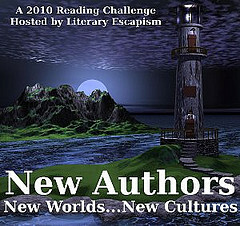 I read an enjoyable work of fiction for Shaila Abdullah (click here for my review) for the Green Books Campaign on Nov. 10 when 100 bloggers joined hands to post 100 reviews on the same day. But I wanted to highlight some of the other great reviews from the campaign and some of the great books I found. Click on the above links for full reviews. There were so many great books reviewed during the campaign, but if you missed it, you can always check out the list of over 100 reviews, here. What books did you find during the campaign? 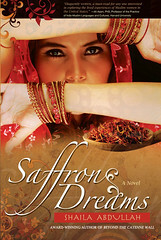 And have you entered my giveaway for Saffron Dreams by Shaila Abdullah? 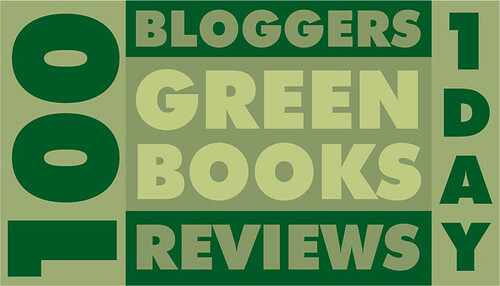 Welcome to the Green Books Review Campaign, sponsored by Eco-Libris — logo was created by the talented Susan Newman. 100 bloggers, 100 books, 100 reviews — today at 1 PM EST. We’re here to shed light on the publishers and books available on the market using recycled products and “green” practices. If you missed my initial post about the campaign, check it out now. For updates on the campaign, visit Eco-Libris’ blog. Saffron Dreams by Shaila Abdullah is printed on 30 percent post-consumer waste and Forest Stewardship Council (FSC) certified book paper. It is also one of the best books I’ve read in 2009. Stay tuned for giveaway information. A somber tone permeates Saffron Dreams from Arissa Illahi’s childhood to her present in 2006-2007, weaving in and out through her past and present. Abdullah’s narrative technique will hook readers and carry them alongside Arissa on her journey from Pakistan to America as she matures, marries, gives birth, and reconciles her culture and her religion with her new homeland — a homeland that has grown wary of Muslims following the 2001 terrorist attacks. Saffron’s bitter taste is present throughout the novel as Arissa is steeped in grief and guilt, but the fragrance of hay often associated with saffron lulls her character with memories. Ami, Arissa’s mother, was absent for much of her upbringing and her father allowed her to find love on her own terms. It is this family life that shapes her ideas about love, marriage, and family. Once married to Faizan Illahi, she finds happiness and revels in it, until her life is obliterated in 2001. Abdullah delves deep into a wife’s guilt, particularly a wife who has adopted a nation as her home that would rather root her out and label her as the enemy. The dichotomy between religion and culture, mother and daughter, grief and survival are tangible and heart-wrenching. Some of the best elements in the story include parallels between art and writing and those two talents suffuse the narrative with a dreamlike quality. Readers will get lost in Arissa’s grief and her confusion about starting anew. They will cheer her on as her determination takes over. Each chapter provides a date stamp to orient readers, but Arissa’s narrative shifts easily from past to present on more than one occasion as memories take over. Saffron Dreams is more than just an emotional journey of perseverance amid the most trying circumstances and tragic events, it is an evolution of one Muslim woman into a whole self, strong enough to stand alone and blossom. Please check out the rest of the stops in the Green Books Campaign blog tour; there are a wide range of books from fiction to nonfiction and poetry to sustainable living guides. I want to thank Shaila Abdullah and her publisher Modern History Press for sending along a free copy for me to review. Clicking on book titles and covers will bring you to my Amazon Affiliate page; no purchases are necessary. Shaila Abdullah was born in Karachi, Pakistan in 1971. She has a bachelors degree in English literature and a diploma in graphic design. She also has a diploma in freelance writing. She has written several short stories, articles, and personal essays for various publications, such as Maybe Quarterly, Damazine, Women’s Own, She, Fashion Collection, Dallas Child, Web Guru, About Families, Sulekha, Pakistaniaat, and a magazine of the Daily Dawn newspaper called Tuesday Review, etc. She is a member of the Writers’ League of Texas. Also, please view her literature blog, her art blog, and her design blog. 1. Leave a comment about what books you’ve found during the Green Books Campaign that you would buy. 2. Spread the word about the campaign and the giveaway via Twitter, Facebook, Blog, etc., and leave a comment with a link. 3. Followers receive five additional entries and new followers receive three extra entries.